One of the world's largest all-women road races! The 41st Annual Freihofer's Run for Women will take place on June 1, 2019. 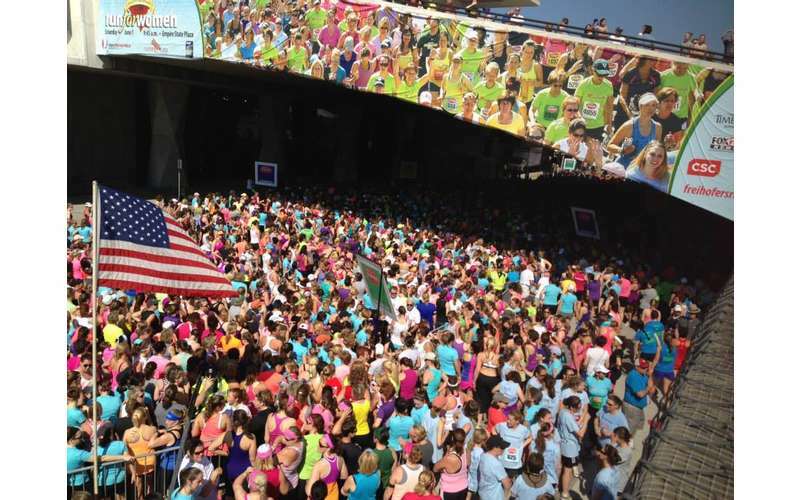 Thousands of women of all ages (and running abilities) will compete in this 5K event. This year's edition will take place in the shadow of the New York State Capitol and City Hall in the heart of downtown Albany. In addition to the Women's 5K, the weekend events include a Health & Fitness Expo, a Junior 3K, and a Kids' Run. Participants are encouraged to pick up their race bib, shirt, cookies, and bread at the Freihofer's Run for Women Health and Fitness Expo on Thursday, May 30 from 4pm to 8pm at The Armory at Sage College. Browse health and fitness exhibitors, find clinics and classes, and get great deals on fitness gear. This fun, no-admission event is open to the public. The Expo will also be open on Friday, May 31 from 12 pm - 7pm. It's not just a competition. It's a celebration of women, family, fitness, and fun! Come experience the thrill of a lifetime at the Freihofer's Run for Women in Albany on June 1! The cost of a paper entry is $40 as they need to process these manually. Strollers and dogs are not allowed.